To celebrate my 2nd wedding anniversary, I decided to add some sunshine with an LYD. 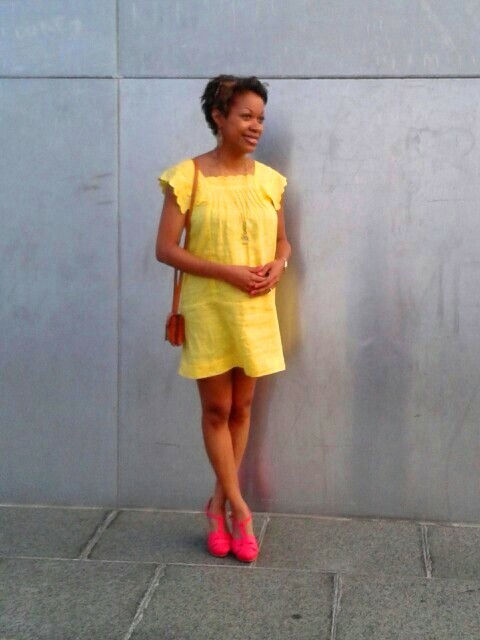 This bright minidress in summer's hottest hue is one of my rare designer purchases. Originally from See by Chloé's 2009 spring collection, the dress sold for around $385. The price tag for yours truly? An astonishing $22! 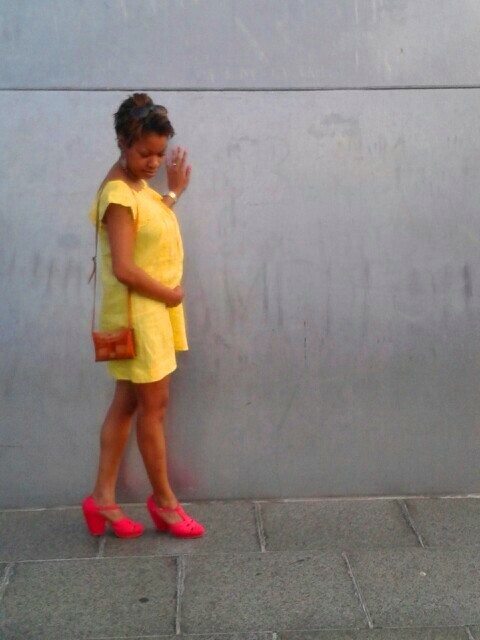 Wear a buttercup dress to a summer wedding or add just a pop of color with a neon yellow purse. Whatever shade of yellow you choose, dare to order your look sunny side-up. Dress: See by Chloé, Avalon Exchange; Shoes: Urban Outfitters; Purse: from Mexico; Necklace: Stella & Dot. We had a yummy pasta dinner first, and the rode up in the Gateway Arch.